Magento 2 will soon blow its first candle and migration projects from Magento 1 to Magento 2 become (slowly but surely) a reality. Even PSD to Magento theme conversion operation is far from being a mere formality and requires solid preparation upstream. Tools exist to facilitate certain tasks (migration of data, adaptation of the code…), but it is sometimes better to forget them! The only thing common to all Magento 2 migrations: it’s a real project, not a simple maintenance operation. Given the magnitude of the task, we decided to split this article into two parts so you can detail the phases necessary for any migration project! The first, which we are dealing with today, is to perform a complete analysis of the existing site in order to delimit the perimeter of the migration. The migration operation will, therefore, begin with a thorough analysis of the existing and the technical and functional scope concerned. What is the version of Magento 1? Is this a Community Edition, an Enterprise Edition? It should be known that the higher the version, the easier will be the migration. Magento even lists versions compatible with its migration tools: Enterprise Edition 1.11.x, 1.12.x, 1.13.x, 1.14.x and Community Edition 1.6.x, 1.7.x, 1.8.x, 1.9.x. If you are not in this case, you will have less choice in the migration approach, but it will remain possible, of course! Has the kernel source code been changed? We must hope that no, it is forbidden! But hey … it shows a little too often. In this case, no escape: it is necessary to clean and move all the specific elements in modules. This work can be done upstream (to facilitate the migration of code and data) or only in Magento 2 (to make a good purge on a rather different architecture), everything depends on the data handled, the resources allocated and the performance objectives expected. No Magento platform is operated without third-party extensions. How much do you have on your platform? What are their roles? Are they compatible with Magento 2? Do they use the same data formats? In short, we will have to make choices and they will not all be easy: self-finance the rise in version of the module or wait for the hypothetical output by the publisher, at the risk of curbing migration? Take the bull by the horns and change the service for the same benefits. Abandon the extension altogether? Set up a partnership and act as a pilot client with the associated risks of instability? A big piece is waiting for us! The management of the themes has been completely redesigned in Magento 2. The files are no longer in the same places, the modules recover part of the construction of the front-end (the views) and the developers must use integrated tools (SASS, generation of static files…). Not to mention the architectural changes that modify the content and layout of the page blocks, based on a responsive default theme. No tool will do the job as well as a good Magento 2 integrator! Hands in grease and, page by page, we go back to the theme. Hard to miss, but it’s a pure joy in operation when you have to make quick changes or build Magento 2 version. Basically, it costs the migration, but we optimize the operation thereafter. Nothing really good on this side. Just use the right versions of applications (for example, go from PHP 5 to PHP 7), which means putting your host in the loop to ensure compatible servers on the day of the switch. It does not seem like anything, but when you forget it, it becomes a nightmare in one day! At this stage, you should have a more precise idea of the scope of the project to be carried out: which data and extensions to purge, which modules to build in version, the time needed to go up the theme, external actors to solicit (host, systems payment, SEO agency…), the tests to be planned for the couplings and the total budget to be allocated to the project. Depending on these variables, you will know whether it is better to migrate from the existing site or from a blank Magento 2 platform. 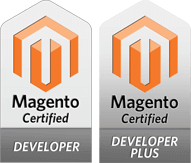 In the meantime, if you have questions or if you are looking for a reliable hire Magento web developer to support you in your migration project to Magento 2, do not hesitate to contact us!